Tracing The Origin Of Violence | The Almond Tree There could be multiple readings of a novel that deals with conflicts, especially when it is related to recent history. Years of media intervention and endless discussions on the Israel-Palestine issue has seemingly inured the conscience of people who are not directly involved in it. Regional and religious feelings interfere with the varied responses that come out occasionally, as a reaction to the horror that comes out of the situation, like in recent times. What literary works do in this climate is in fact a subtle intervention - for the number of people who would read hundreds of pages to get a deeper insight to the issue are much lesser than the ones who do their armchair theorizing after watching a 3 minute TV footage. There could be multiple readings of a novel that deals with conflicts, especially when it is related to recent history. Years of media intervention and endless discussions on the Israel-Palestine issue has seemingly inured the conscience of people who are not directly involved in it. Regional and religious feelings interfere with the varied responses that come out occasionally, as a reaction to the horror that comes out of the situation, like in recent times. What literary works do in this climate is in fact a subtle intervention – for the number of people who would read hundreds of pages to get a deeper insight to the issue are much lesser than the ones who do their armchair theorizing after watching a 3 minute TV footage. 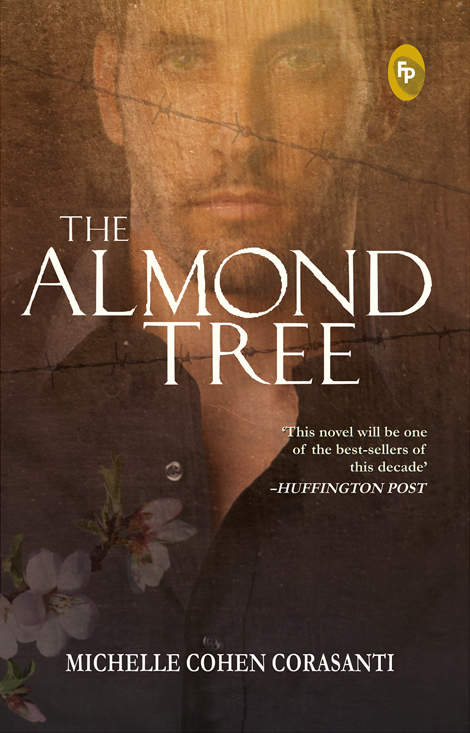 ‘The Almond Tree’, published in 2012 had made an impact on its own terms. Michelle could have spent a lot of time to give her Palestinian Muslim male narrator an authentic voice. Many could have raised arguments that a Jewish woman can’t simply do that, no matter how hard she tries. There could have been varied responses to the underlying theories of the book, from both sides of the parties involved in the conflict. However, I was more concerned about the creative process involved in the whole effort and her take on the issue when I interviewed her soon after the publication of the book, for the journal I edit, Lakeview International Journal of Literature and Arts. I just thought a blog post which features that interview might be relevant in the light of the recent Gaza operation and its unfortunate aftermath. I hope to have one more post after this about the role of literary works and films, if any, in this scenario. The interview focuses mainly on the creative process involved in conceiving the book, how the voice of the protagonist was shaped, instances of scholasticide that don’t often get talked about and the author’s insights on the whole situation. Jose Varghese (JV): How did The Almond Tree materialize? Michelle Cohen Corasanti (MCC): The idea for The Almond Tree materialized when I realized that a writer can reach into readers’ hearts and change them forever. I grew up in a Jewish, Zionist family where we were taught that after the Holocaust the Jews found a land without a people for a people without a land and made the desert bloom. We were also taught that the Jews were always persecuted due to no fault of their own. In high school I went to Israel and learned that what I had been taught was a lie. I was horrified to see how the Palestinians were treated. I wanted to devote my life to help bring about a just peace. But there was little that could be done at that point. Once I read The Kite Runner, the line about how history, politics and religion are virtually impossible to overcome, I got the idea for my story. During all my years involved in the conflict, one of the only glimmers of hope I saw was at Harvard where a Palestinian and Israeli were working together with a Nobel Prize winner. I could see how strong they were when they combined forces and decided to build my story around that seed. JV: When exactly did you think of writing about Ichmad? Why did you choose to write from a male perspective, and how challenging was it? MCC: I don’t think I ever chose to write in the voice of a male Palestinian Muslim. When I went to write the book, I put myself in his shoes and became him. I knew who the protagonist was at the core. It was so natural because I heard the stories from Palestinian males. I was at their houses. I saw how they lived, how they were treated, where they came from. JV: As one can see, it’s not at all a fabricated story. How much of reality is there, and how did you fictionalize it? MCC: The vast majority of the novel is fictionalized reality. I wanted to put a name and a face on the news. We often hear five were injured or two were killed or about thousands of political prisoners. I wanted to show that they are someone’s mother, brother, sister, father. For example, I got the idea for the protagonist from someone I knew at Harvard. I’ll call him Hasan. His father helped a refugee who snuck back into the country to plant weapons and was sentenced to 14 years. Hasan was twelve at the time, the oldest of nine with an illiterate mother. He was forced to become the breadwinner of the family. He was only able to attend school infrequently, but it was enough because he was so gifted in math and science. He received a scholarship to attend the Hebrew University. There, in an environment of publish or perish, the Israelis recognized his genius and embraced him. Initially his first advisor for his masters was right-wing and racist, but when Hasan helped him publish more than he ever had, the professor embraced him. In fact, for his PhD, a top Jewish Israeli professor became his advisor and when Hasan graduated, he helped Hasan get a post-doc at Harvard with a Nobel Prize winner. The Israeli professor paid for the other half of the post doc so that they could continue working together. I changed many aspects of the story. The Palestinians inside Israel were ruled by the military government until 1966 so they were under similar laws to those of the Palestinians in the occupied territories starting in 1967. The protagonist is born in 1948 so he grew up under Israeli military government so the conditions were more like those of the occupied territories from 1967. Most of the events actually happened, but again I fictionalized reality. Obviously, Nora was killed like Rachel Corrie. On many occasions I had to tone down reality because if I was to tell what really happened, no one would believe me. For example, an Israeli pushed a Palestinian man and his son who were working at a construction site off a scaffold. The father fell on barrels of rocks and eventually died from his injuries. The son managed to grab onto a pipe until they were able to rescue him. Instead of having Abbas die from his injuries, I just had him crippled. JV: Did you attend any creative writing course in order to create this highly readable novel that strikes a chord with the hearts of readers from across the world? If you did, how useful were they, to make you a better writer? MCC: When I decided to write this novel, I thought it would take three months. I said to myself if Khaled Hosseini, a medical doctor, could write The Kite Runner, then surely I, a lawyer trained in writing, would have no trouble. Twenty-one writing courses, six editors and seven years later, I finished the novel. I absolutely couldn’t have written this book without the writing courses. When I first wrote the book, I just wrote a story. There was no dialogue, no hooks, no cliff hangers, no complex characters, no tension. Basically I took every course from dialogue, character development, word painting, grammar, plot and so many more. Also, I think one has to learn to read like a writer. When reading, one has to keep analyzing how the writer made one feel a certain way. I read all the best sellers to see why they were best sellers. I read all the classics to see why they endured the test of time. I wanted to bring about social change so I read books like Uncle Tom’s Cabin that helped end slavery in the US. My goal in this book was to change the way that people saw the Palestinians, particularly in the United States because I think that for there to be change, the US has to change its policies. I wanted to humanize the Palestinians and show why we should celebrate differences and focus on our commonalities to advance humanity. I wanted to reach as many people as possible so I knew that I would have to keep my language simple. Most Americans want a fast-paced gripping story and the message has to be sent through the back door. I knew I would have to plant seeds and appeal to human values. I understood if I started to try and prove facts, I would enter into a bottomless pit. JV: Do you advocate creative writing courses to budding novelists/writers? MCC: I most definitely advocate creative writing classes. I think the best ones: 1. Tell you what needs to be done, 2. Show you examples of it in famous books 3. Have a component where in each session you have to write something pertinent to what you are working on, say dialogue, that needed to be submitted to the entire class and everyone comments. Feedback was critical for me. JV: There are striking parallels and paradoxes in the depiction of women characters in the novel, though it is mainly narrated from the viewpoint of a male protagonist. Are these female characters based on people you know? How much of you were transferred into them? MCC: First I will admit that the absolute hardest character for me to write was the Jewish American human rights activist. In retrospect and with hindsight I can say that I wanted her to be everything I wished I could have been, but failed to be. I was unable to give her any flaws. No one likes a perfect character. Everyone hated her and eventually, I found a way to give her the most courageous death I could. In writing Uncle Tom’s Cabin, Harriet Beecher Stowe tried to appeal to white women because she thought they would be more sympathetic to the plight of the blacks. So she had, for example, Eva, the purest girl who sees Uncle Tom the slave as a human being and is against slavery. She is angelic. Stowe made her into a heroine to give women someone to try to emulate. I tried to do that with Nora and Justice. I wanted to give examples of women who didn’t judge a person based on their religion. On the other hand, I portrayed Professor Sharon’s first wife as a nasty racist and their marriage ends in divorce. As far as the women are concerned, Mama was based on women I met, particularly the mother of the scientist form Harvard. I didn’t do that to put her down. I did that to try and show how far he had come. His achievements in my mind are even greater considering the distance he transversed. I got the idea for Ichmad’s second wife, Yasmine, from a class on Arabic literature that I took in college called east-west. The class dealt with what happens when an eastern man goes to the west to study, meets a western woman, falls in love, comes back to the east and is pressured into an arranged marriage with an eastern woman. Typically he is blinded at first by the west and he looks down on his own culture until he learns to appreciate how much his eastern wife brings to the table and then he realizes they are cut from the same cloth. As far as Ichmad is concerned, when he meets Yasmine, he is still not over Nora. He doesn’t appreciate her until she has his son and then once he sees how great she is with his son, he realizes they were cut from the same cloth. Ichmad’s first love from the university was beautiful and brilliant, but she was forced into an arranged marriage. Many of the other women were based on people I met or read about over the years. JV: What is the focal point of your novel? Is it the Israeli-Palestinian conflict seen from a new perspective? How far could you justify/critique both sides? MCC: I think when I wrote this book, my target audience was Americans though I knew I needed momentum from the rest of the world to really push this novel to become a bestseller. As a Jewish American, who lived in Israel for 7 years, who has degrees in Middle Eastern studies and law with a specialization in human rights and international law, I felt I would be a hard force to dismiss. I didn’t want to argue the facts because those are easily manipulated and truthfully they would probably bore many Americans. I wanted to show what Zionism meant to the Palestinians. I wanted to shatter stereotypes and give the Americans a little Palestinian boy who they could love and root for and want to succeed. My book wasn’t about casting blame or advocating hatred. I wrote this book to show how strong we could be if we just pooled resources and worked together instead of focusing on differences and destroying each other. In fact, many people see this book as much bigger than the Palestinian-Israeli conflict. Anyone who has ever encountered hardship can relate. My father-in-law was born during the depression. His father was a new immigrant. They lost their house to the bank, but my father-in-law went on to build a very successful company. He saw himself in Ichmad. JV: Is scholasticide a wide-ranging phenomenon that comes out of the Israeli-Palestinian conflict? Do you know of any such particular cases in real life? The scholasticide I discussed in Gaza in the book was based on reality. Out of all the areas Israel rules, I think their scholasticide policies in Gaza are the worst. In the US the whites denied the slaves education. The Nazis also used such policies. JV: Does the novel have a clear message to Israel? MCC: The clear message to Israel is that we didn’t survive the Holocaust to go from victims to victimizers. Never again means never again for anyone, not just Jews. The lessons we should have learned from the Holocaust were not how to have a pure country, but that we can never be bystanders to human suffering. If Israel wants to have a Jewish country in the heart of the Arab world on land that was occupied by another people the vast majority of whom were not Jewish, they will have to murder, steal, persecute, oppress and all the other policies that go along with ethnic cleansing. My message is it’s better to have a secular democratic country where everyone lives together with equal rights instead of a racist, oppressive country. JV: Is the characterization of Professor Sharon/Menachem totally fictitious? 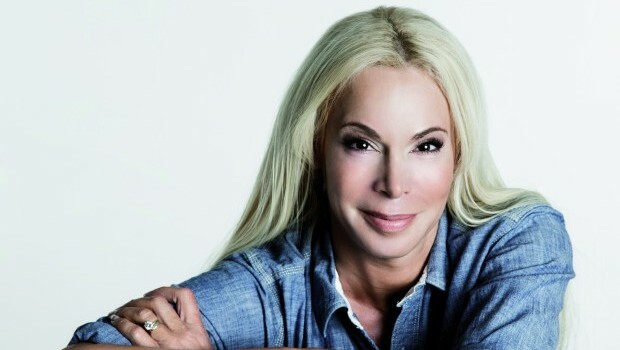 MCC: The character of Professor Sharon was based on a combination of two professors I had heard about. One was racist who learned the value of a brilliant Palestinian student and his love for science and desire to succeed surpassed his racism and another whose love for science was of utmost importance and he had the brilliance to do something about it. JV: Can one expect people like him in today’s world? Is it easy to transform people’s deep-rooted outlooks? How did you make the transformation of him convincing in the novel? MCC: I think when you get to know someone on the personal level and have respect for their abilities and see how such abilities can benefit you, it breaks down stereotypes. I think that friendships flourish when there are common interests. This is especially the case for true scientists whose love for science can overcome such obstacles. I think that unless people have met someone who is a true scientist they may not be able to understand how science can be a bridge. I happened to see it with my own eyes. Someone doesn’t come from abject poverty and overcome obstacles such as racism and discrimination and make it to Harvard as a post-doc for a Nobel Prize winner unless he possesses certain characteristics: a brilliant mind, a deep passion for science, intense focus, and a willingness to put science above all else. I didn’t write about something that happens every day. If this were the case, the conflict would have ended. I am writing about the rarest of instances. The perfect storm when all the stars just happened to line up. This is by no means the norm. JV: Were you afraid, at any point of time, that your attitude to the Israel-Palestinian conflict could turn out to be controversial? MCC: What I have found is that the Zionists who read The Almond Tree have been transformed for the most part and are able to see the Palestinian perspective because I appeal to Jewish values. The people who have had a problem with my book are the ones who have not read it and refuse to read it because they don’t want to hear anything but Zionist propaganda. I call for people to embrace our common humanity. I don’t feel that is controversial, but there are always irrational people who will try and whip something up. I am afraid of those people, but I want my children to know that I did see injustice and I tried to do something about it. Every time I get scared, I think of all the children that are suffering and I find the strength because I’m more afraid for what will happen if I don’t speak the truth. Pretty great post. I just stumbled upon your weblog and wanted to mention that I’ve truly enjoyed surfing around your blog posts. In any case I will be subscribing for your feed and I am hoping you write once more soon!